A muso since his first band in 1969, Jim Fisher’s unique style is a passionate brew of blues, bluegrass, soul, R’n’B and rock’n’roll. Some what of a WA legend Jim is a singer, a songwriter and a great entertainer with a legendary sense of humour. He has toured both nationally and internationally with his own line-ups, as well as playing sideman to numerous top-billed Australian acts like Paul Kelly and supported the likes of Dylan and BB King. 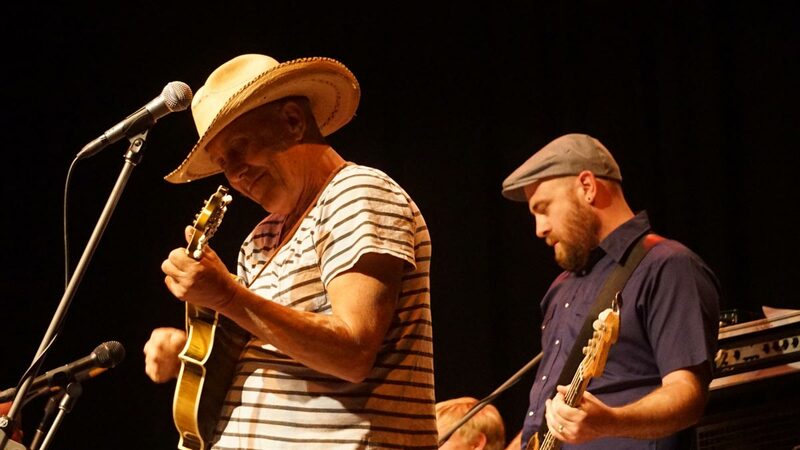 Jim will be appearing with what he describes as a collection of friends who just happen to be outstanding musicians, including his son and Bridgetown regular Tom Fisher.